Trey Songz put rumors that he’s been dating Steve Harvey‘s 21-year-old stepdaughter to rest on Monday … by confirming they’re absolutely boo’d up heading into 2019. The R&B singer was performing at the Regency Ballroom in San Francisco for New Year’s Eve and people couldn’t help but notice a girl was clinging to his back with her arms wrapped around his torso as he sang. 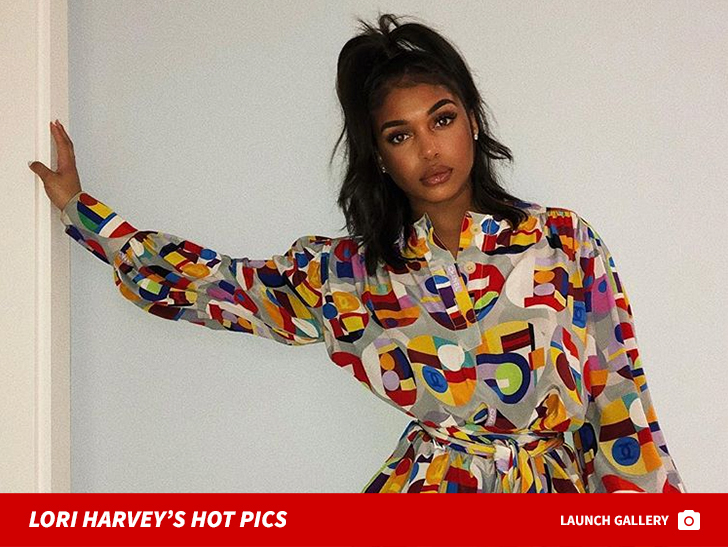 Well, that was Lori Harvey … Steve’s youngest stepchild. She showed up on his Insta story earlier in the night wearing the same gold dress that was seen on the chick wrapping him up. No question … it was her, and they’re into each other. Trey and Lori have been hanging out a lot through the holidays, and it now seems they’re an item in the new year. Lori’s an up-and-coming model who’s walked for Fashion Week in Milan and Paris. It’s clear why she’s caught his eye … she’s gorgeous.